You might recall the fairytale, The Elves and the Shoemaker – magical little beings who crafted amazing shoes night after night for the penniless shoemaker. I imagine if the elves were making fancy footwear for minors, this is what they might have looked like. 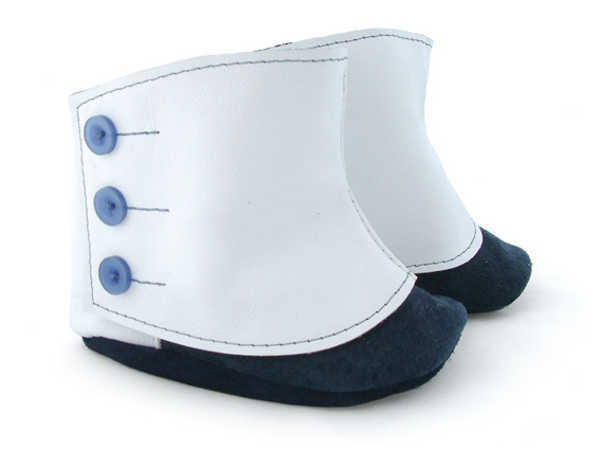 Enter into the world of Lou’s Shoes, where children’s shoes are a little left of centre, in more ways than one. For instance, cast your eye over the Baby Mowgli, above. These booties aren’t for the fashion faint of heart! They have a possum fur wrap and possum fur insole. 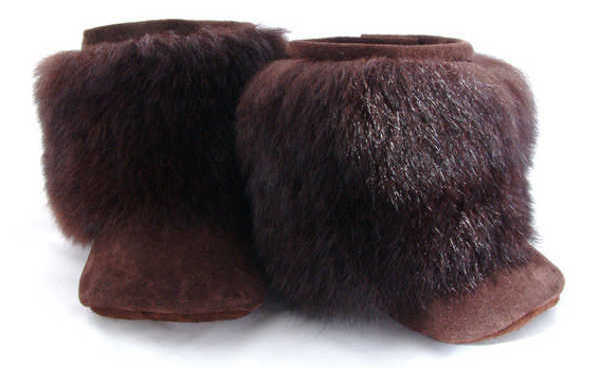 Creator Lou says the fur has the same unique thermal qualities as arctic animals, and in New Zealand, where these shoes are made, possums are an introduced pest. At the other end of the shoe spectrum, the Baby Gaiters at the top of the post are a unashamed nod to the 1920s, reworked for the modern bub with eclectic taste. 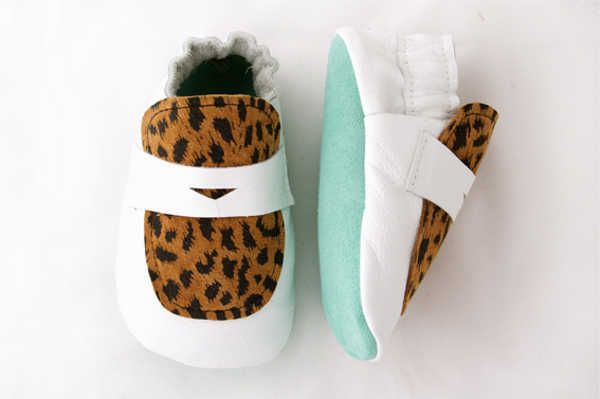 For those with a little more mainstream fashion sense, Lou’s Shoes has a modern and miniature twist on the footwear of the past. The Baby Brogues and Penny Loafers are made from leather and come in a host of bright and cheerful colours. Each pair of shoes is handcrafted in Dunedin, but Lou’s Shoes is happy to ship worldwide. The shoes range in price from NZ$35 to NZ$45, and as Lou crafts each pair of shoes to order, feel free to dream up your own colour combos.